Beijing Donghuayuan Medical Equipment Co.,Ltd is one of the top level China normal pressure decocting devices manufacturers and factory with leading company normal pressure decocting devices and meidical equipments and health product NO.1 normal pressure tisanes devices with CE, welcome to buy our cheap and famous products. 1: Decoction and packaging integrated combination, compact structure, nice shape, saving space. 2: Cook 1-3 dosages at the same time, 3-12 dosages in one cooking pot under normal pressure and temperature. 3: High precision digital control technique. 4: Automatic switchover between strong fire and slow fire. 5: Autmatically display the time of high temperature (boiling time). 6: Glass-made cylinder makes decoction process clearly visible. 7: Register capital of 20 million RMB. 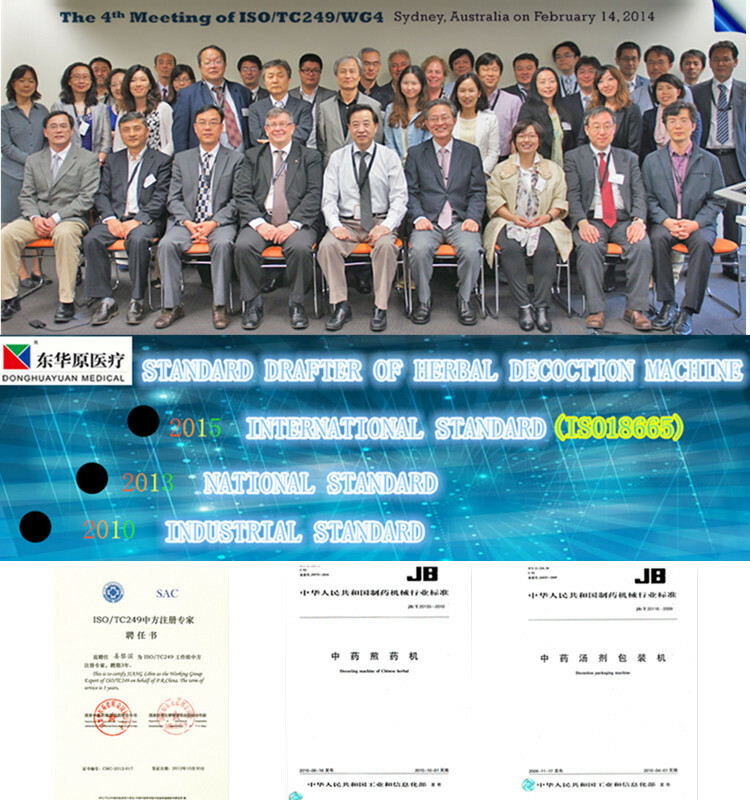 Pass ISO9001, ISO 13485. 2. Our company is a leading manufacturer in TCM machine field and health products, such as blood pressure monitor, height and weight scale, ect. We have more than 20 years experience in this field. A: No problem. It is easy for installing. If you need our help, please ask us at any time. A: Don't worry about our quality. Our old custmers are all over the world. 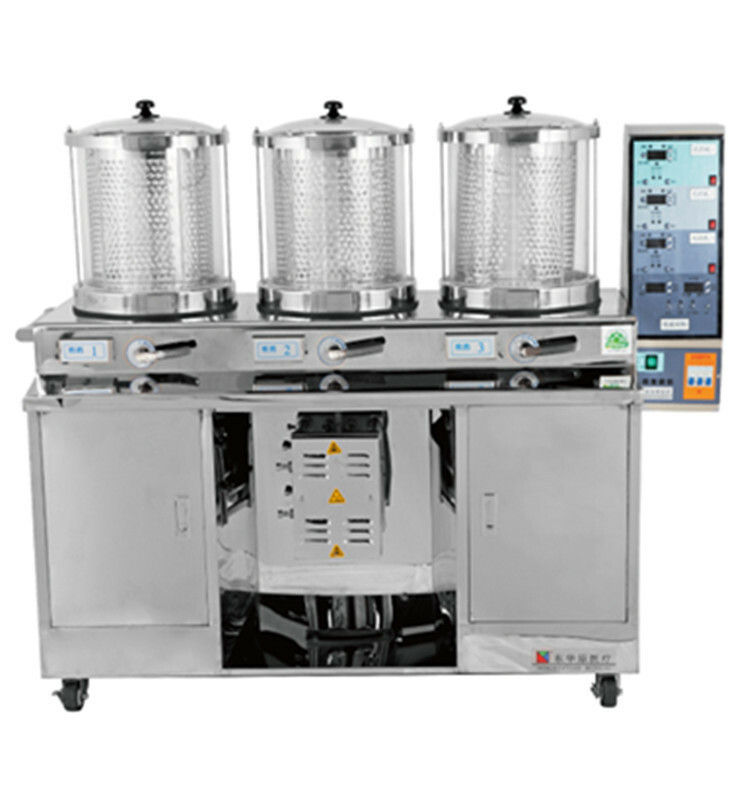 And DONGHUAYUAN company is a leading company in TCM decocting machine and health products in China, we a the related standard drafting company. A: We will deliver goods in descending order, but at most in 20 days.